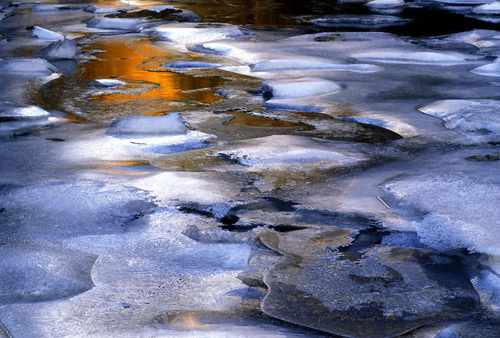 The orange glow amidst the ice is from a distant cliff face that's lit by the late afternoon sun and reflected in the water. I liken it to an emergence, of sorts---warmth from the cold, creativity from an artless void. Feel free to interpret it your own way!